Another Commission for a Phantom titan. This one to demonstrate more tech in its painting. And a few local shield hits that are barely worth its notice. 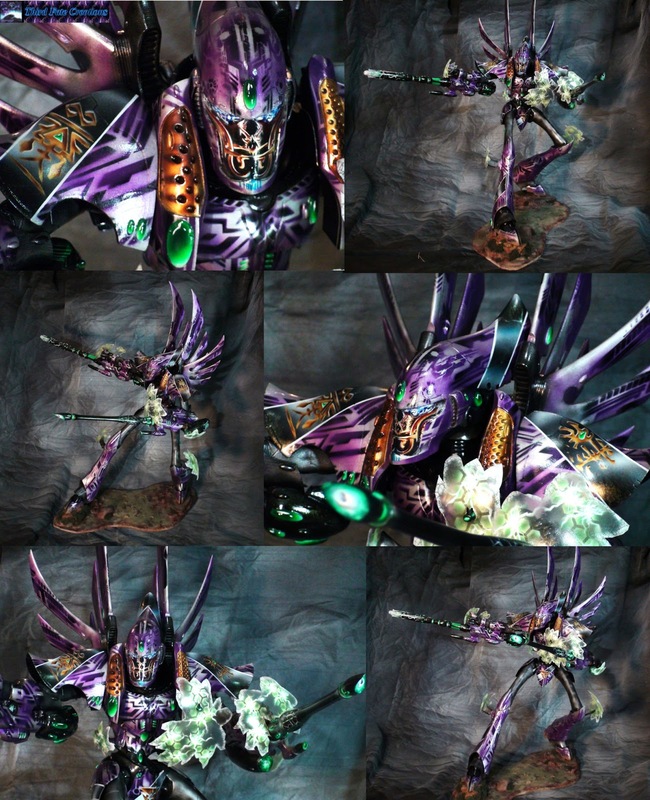 This seems to me the realization of a clear, beautiful vision of the Eldar. It's magnificent. The shield hits, the face and eyes, the gun tips, the designs in purple and many other things besides are truly inspired.